Maskerade is a revolutionary application for table-top photography. Using a simple two-photo technique, Maskerade can generate a perfect, transparent image of an object just as though you've 'peeled' the object off of the background. Subtle, sub-pixel details and transparency are captured perfectly and effortlessly with no further editing required. 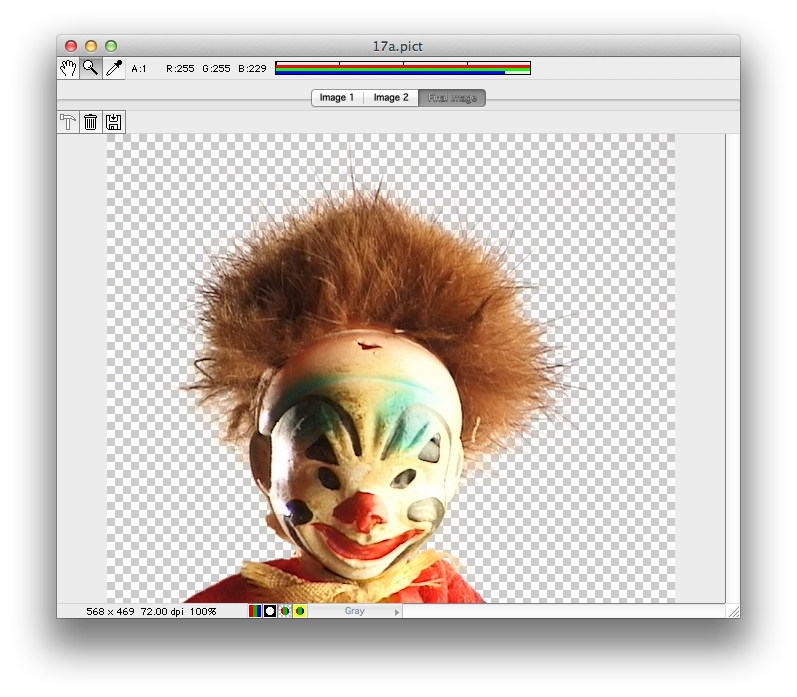 Maskerade saves the masked image as a native Adobe Photoshop file for easy post-processing and compositing. It's ideal for use in print, on-line, in video, or in composite photos and special effects. No other software or hardware solution can do what Maskerade can do. 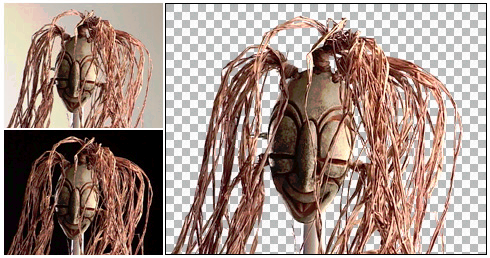 While there are a variety of tools available for graphics artists and photographers to mask items out of images, none of them really compare to Maskerade. Check out the FAQs (frequently asked questions) for lots of additional information about Maskerade. Maskerade is distributed as a full application that runs as a demo until purchased for $99. This means that you are encouraged to download and try out the application for free, but it will place a watermark on the final image until it is registered. If you like Maskerade and want to continue using it, you can purchase your copy and remove the watermark. Upon purchase, a valid serial number and activation key will be sent to you which will convert the demo into the full version. A new version of Maskerade is coming soon. Photoshop and the Photoshop icon are registered trademarks of Adobe Systems Incorporated. Maskerade is a trademark of bergdesign inc. Covered under US Patent 6,377,269.